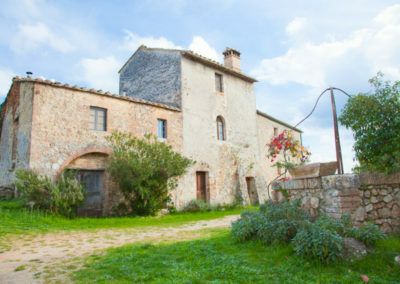 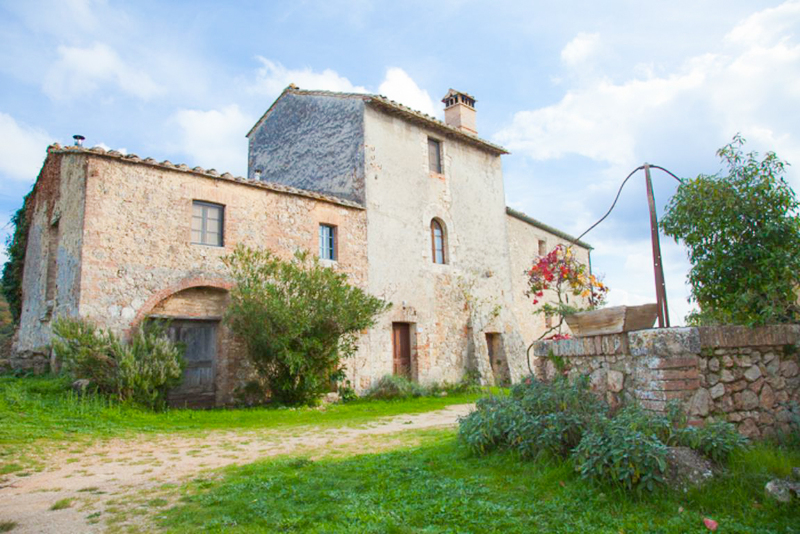 3 bedrooms 2 bathroom • About 0,7 mile away from the main Castello compound • heat not available. 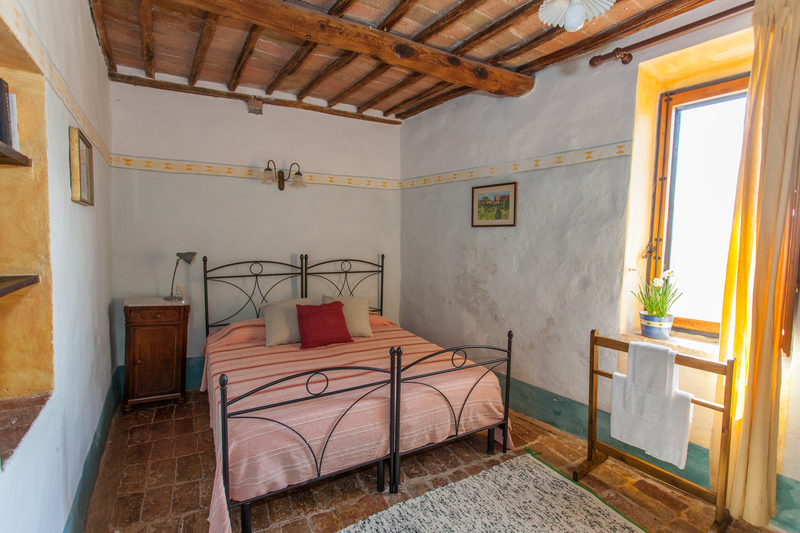 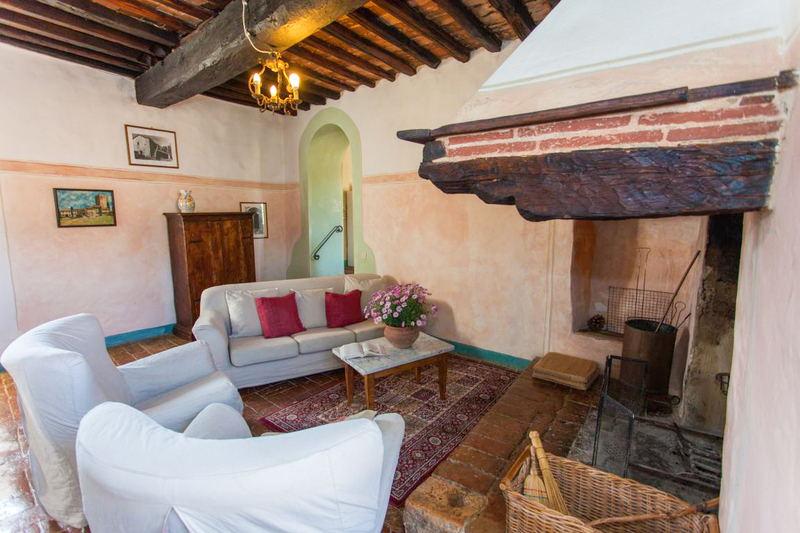 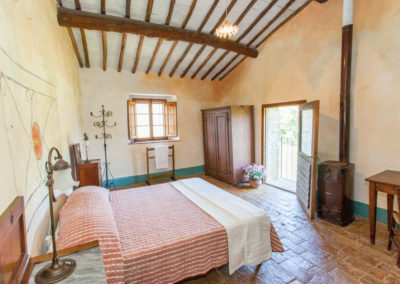 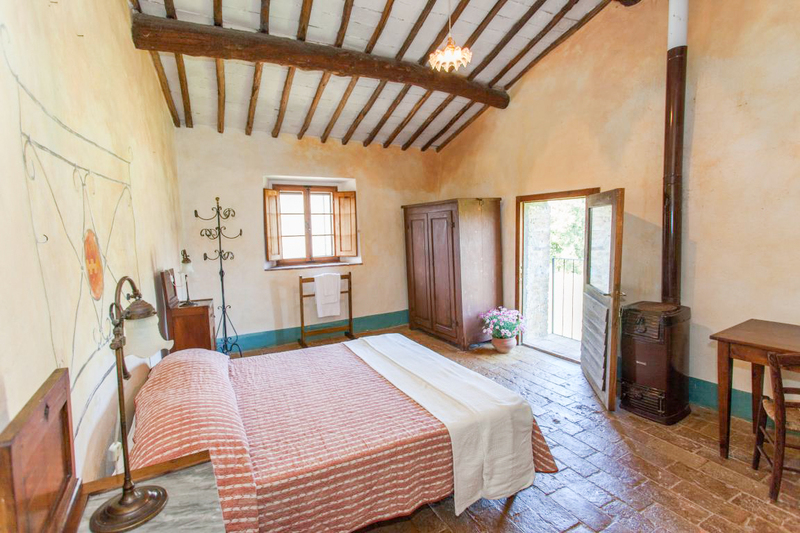 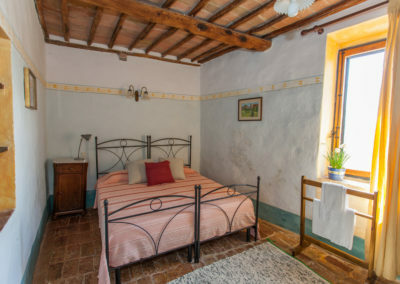 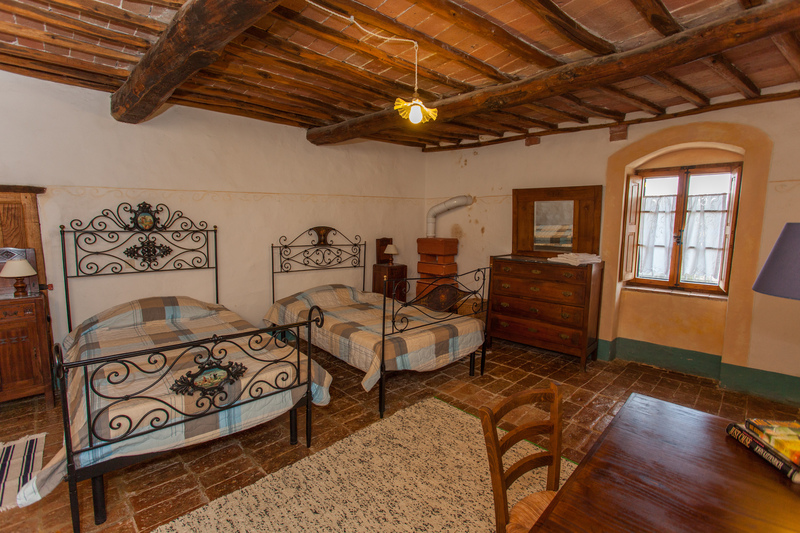 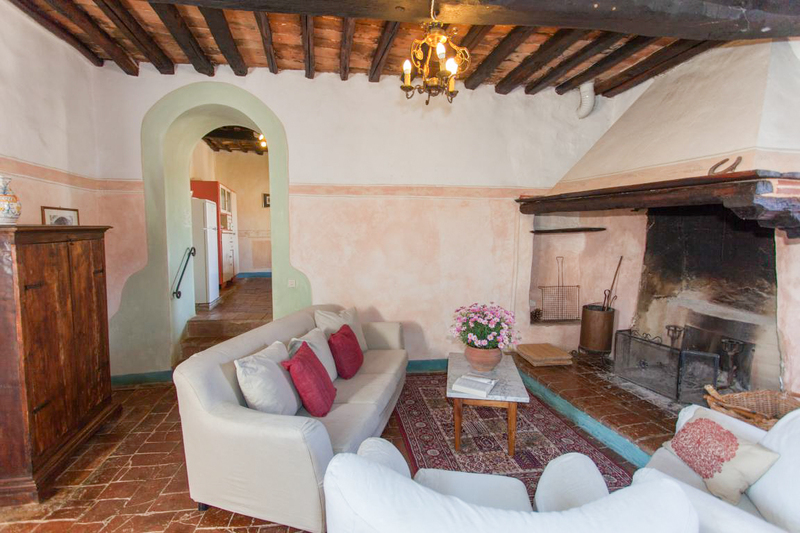 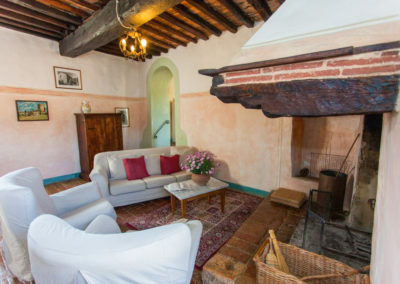 Palazze Torre (sleeps 6) is named for the original 13th century tower that forms the central architectural feature of the house. 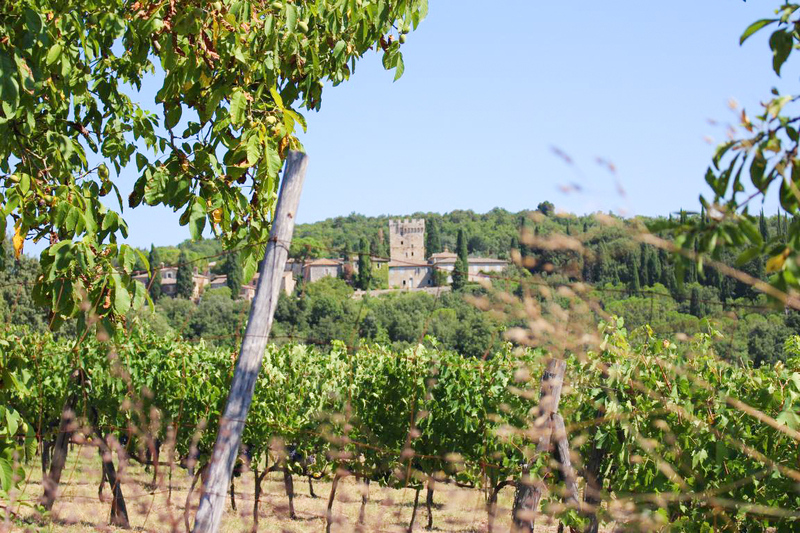 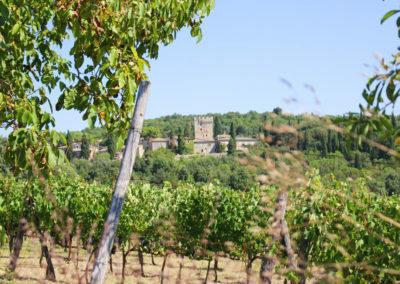 Two large additions were added to the house at a later date, creating multiple views of the vineyards surrounding Palazze Torre and its sister house, Palazze Logge. 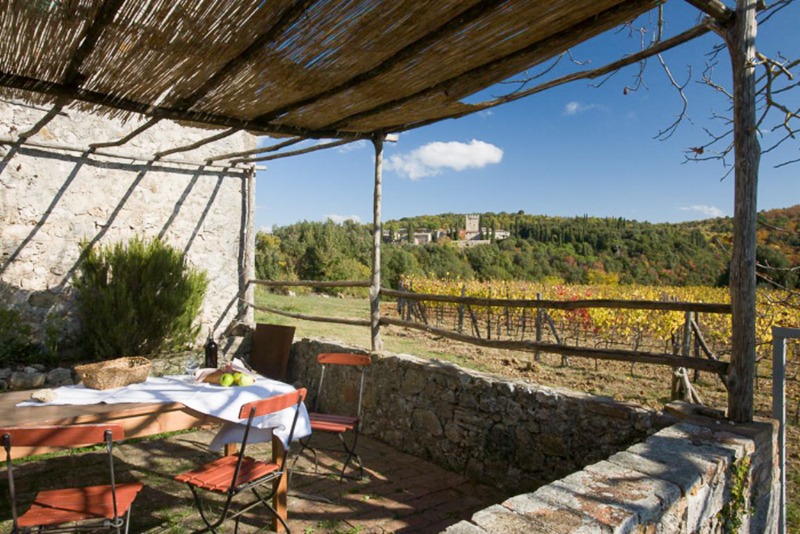 A covered patio next to our newest vineyard allows for dining al fresco in the warmer months, and on especially nice evenings, many guests have aperitivi on the grassy terrace next to the house, looking over at the Castello complex across the valley. 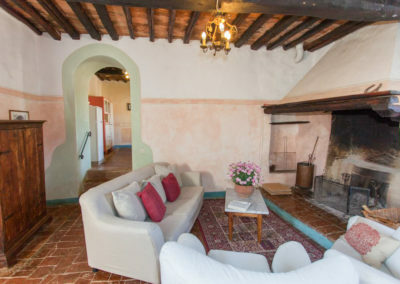 Inside, stone steps lead up to the living area – a living room with a fireplace, and a large kitchen with a beautiful travertine sink form the nucleus of the house. 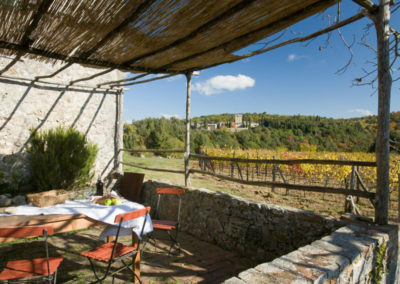 A bedroom off the kitchen has a view across the vineyards and down the Ricausa valley towards Castiglione Che Dio Sol Sa (The Castle that Only God Knows), a favorite hiking destination. 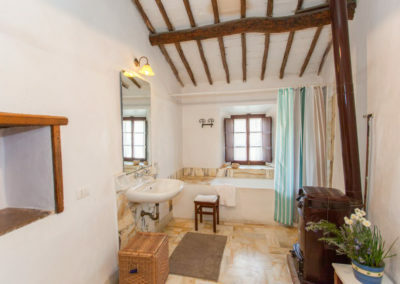 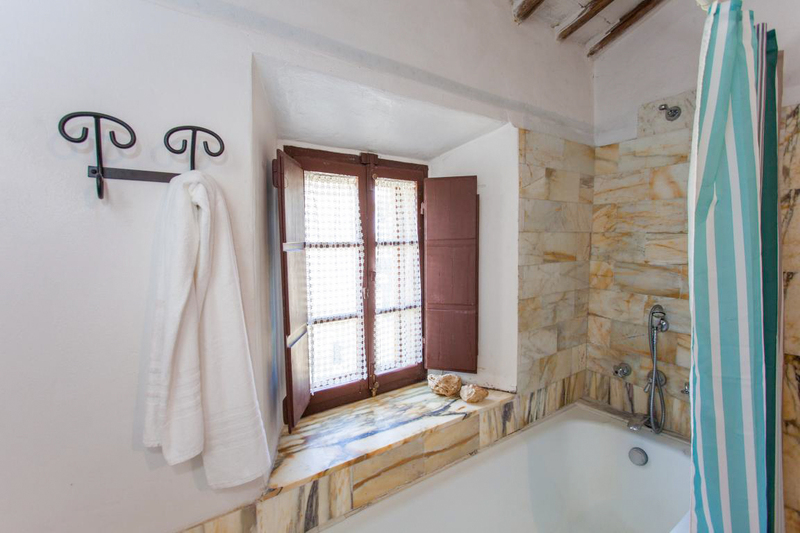 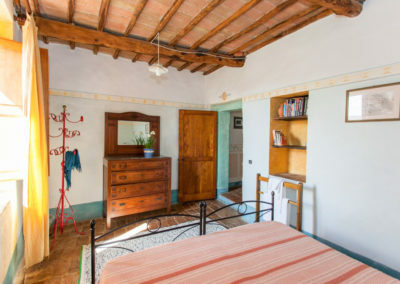 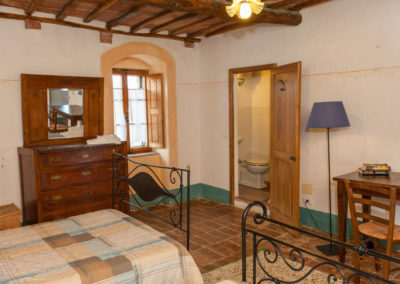 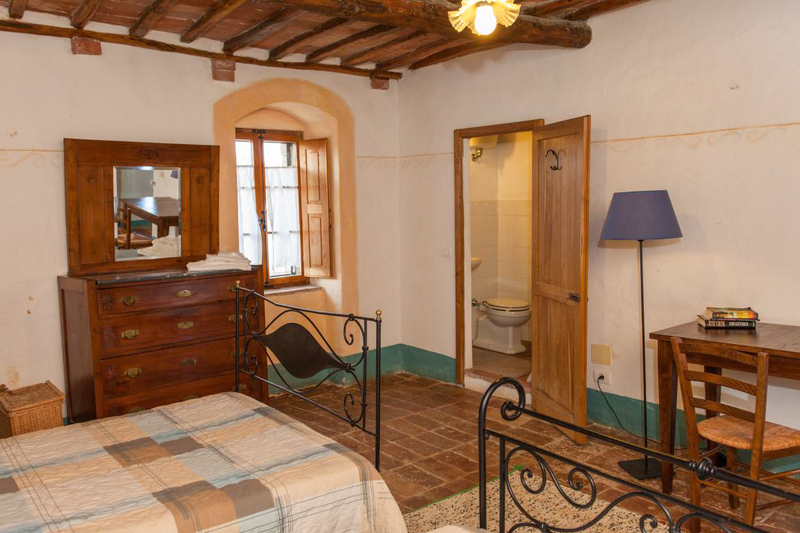 Down a hallway from the living room, a large bathroom with full tub/shower looks out over the quiet courtyard between Palazze Torre and Palazze Logge. 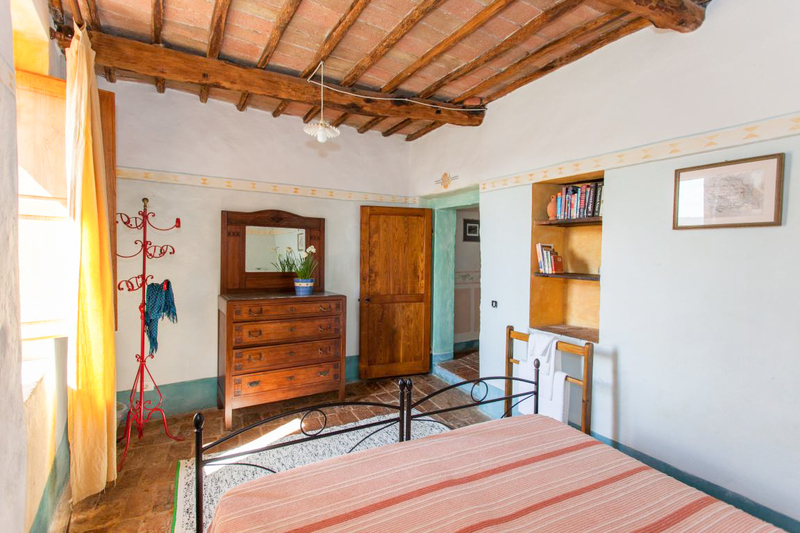 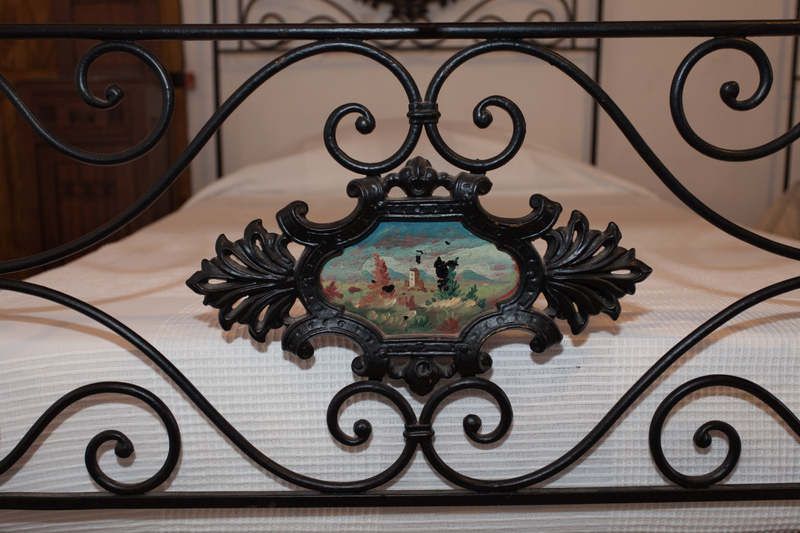 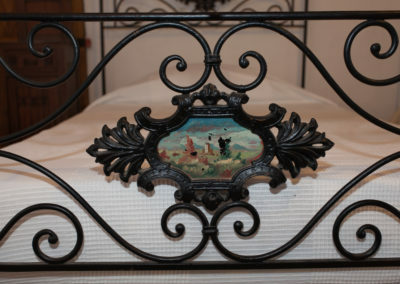 At the end of the hall, a spacious bedroom has room for a writing desk, along with a double bed, bureau and armoire. 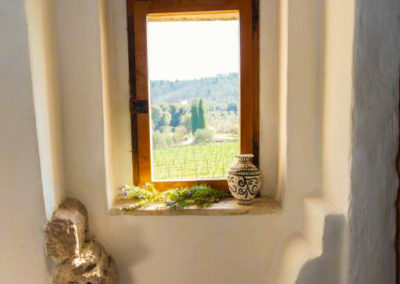 A view of the Castello makes for a lovely early morning sight out the window. 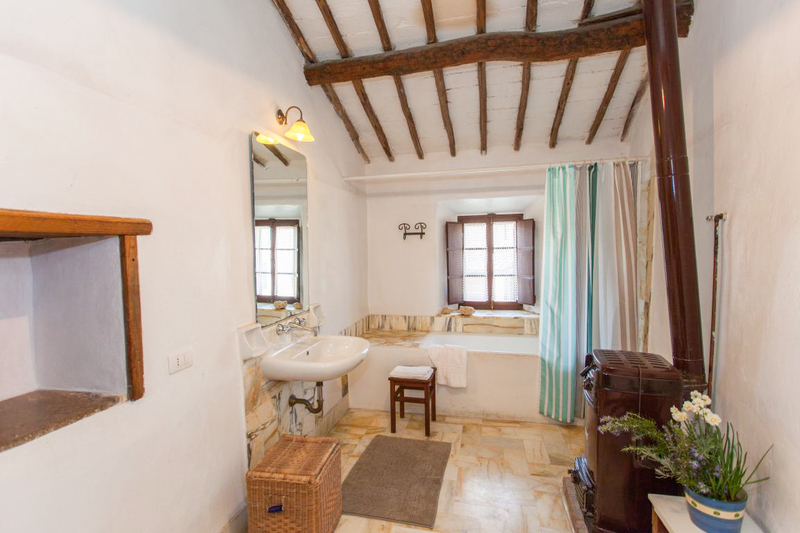 The stairs up from the living room lead to a top floor bedroom and a second bathroom, this one with a shower. 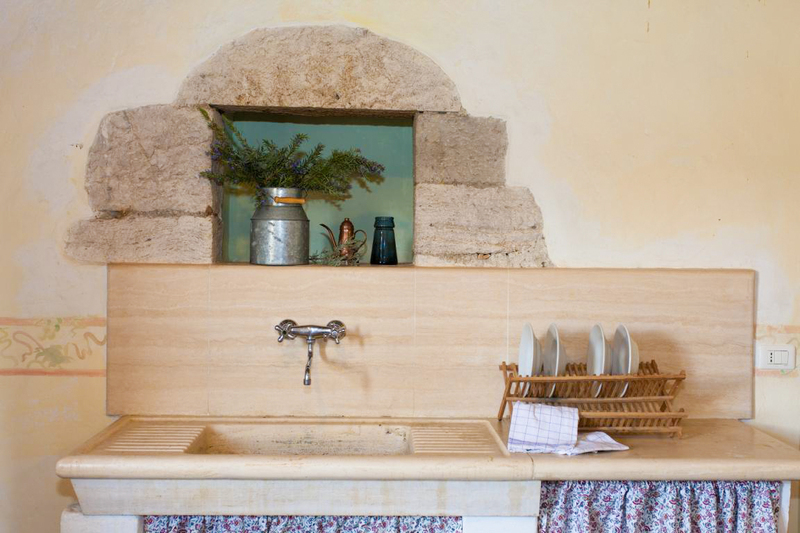 The washing machine is located on the ground floor in a section of the original stables that now houses the utilities. 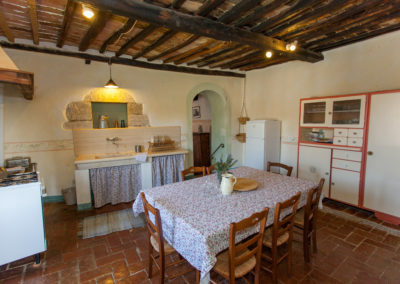 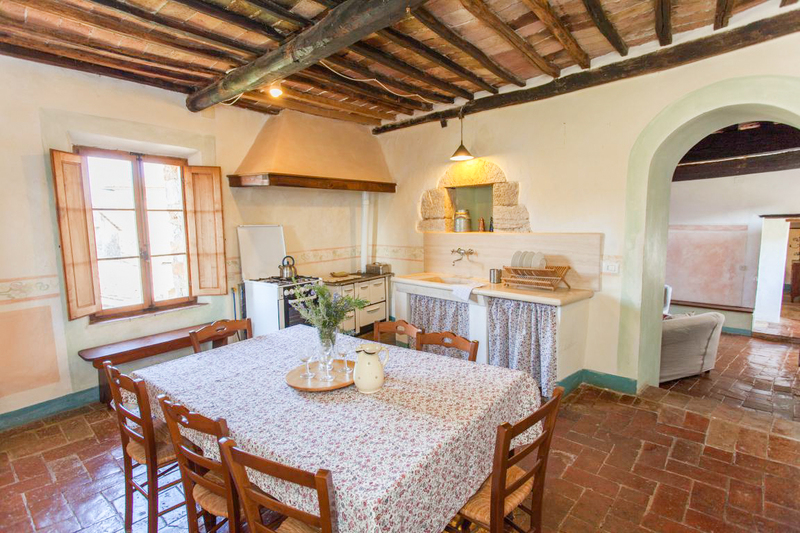 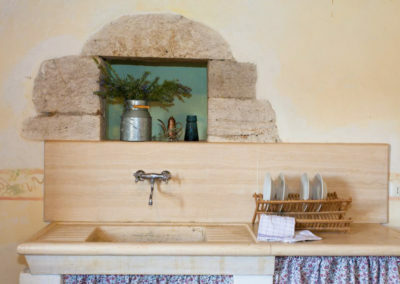 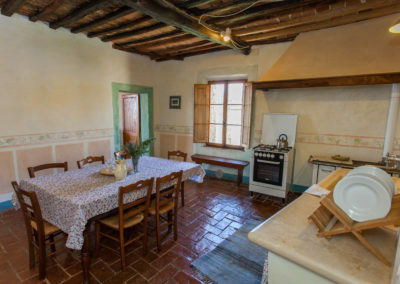 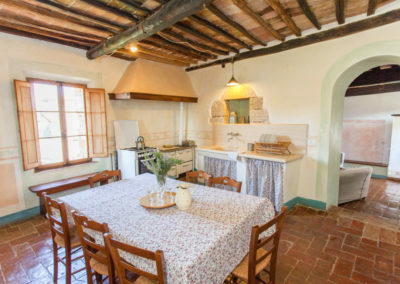 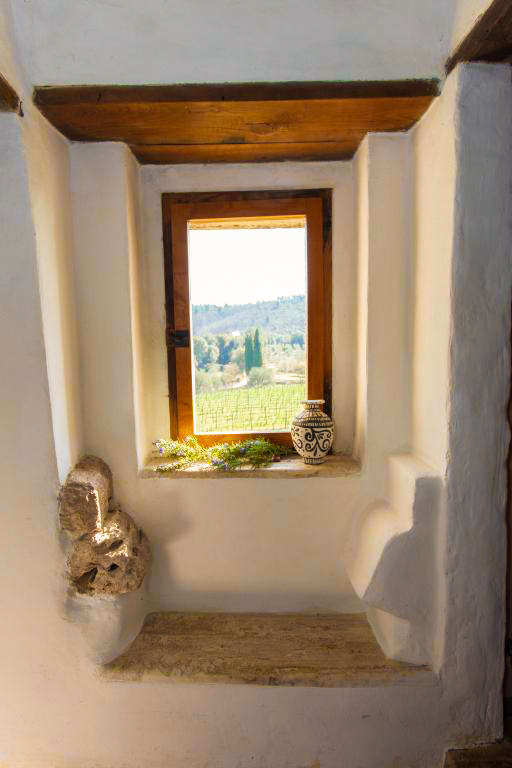 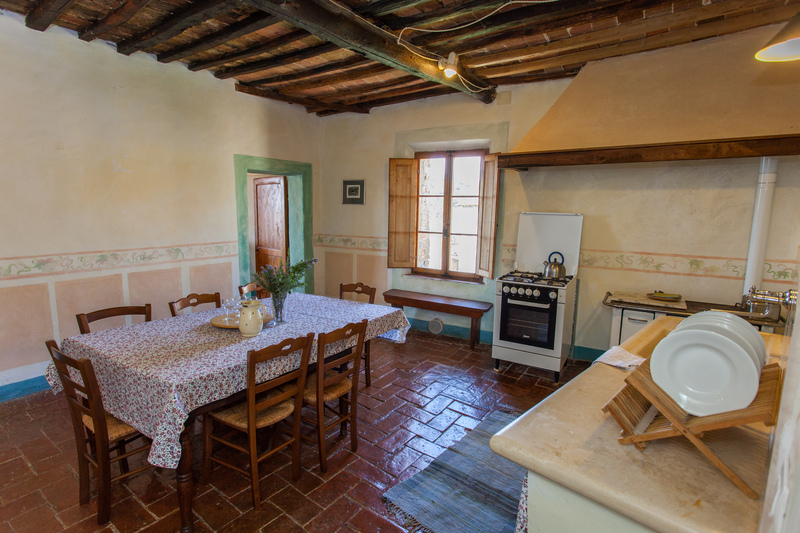 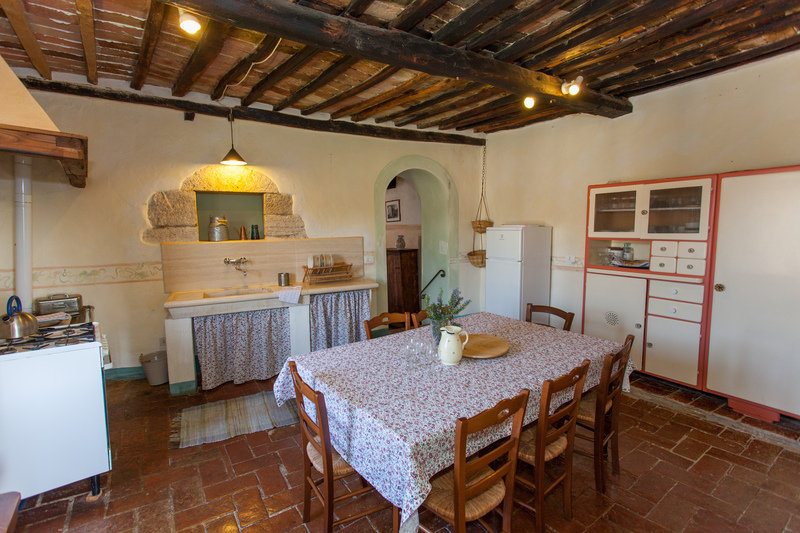 The eat-in kitchen is stocked with all the items needed to make and serve meals, and we welcome guests to order a harvest basket of organic vegetables from the Spannocchia garden or to try our own organic wine, olive oil, honey, or pasta when creating their own versions of a Tuscan dinner.